Going into the season, young dogs should be familiar with the situations they may encounter—such as climbing onto and retrieving from a marsh stand. If you’ve prepared your young and aspiring dog for a great waterfowl season with plenty of obedience training, retrieving drills and the countless other things we all do in anticipation of opening day, that’s great. 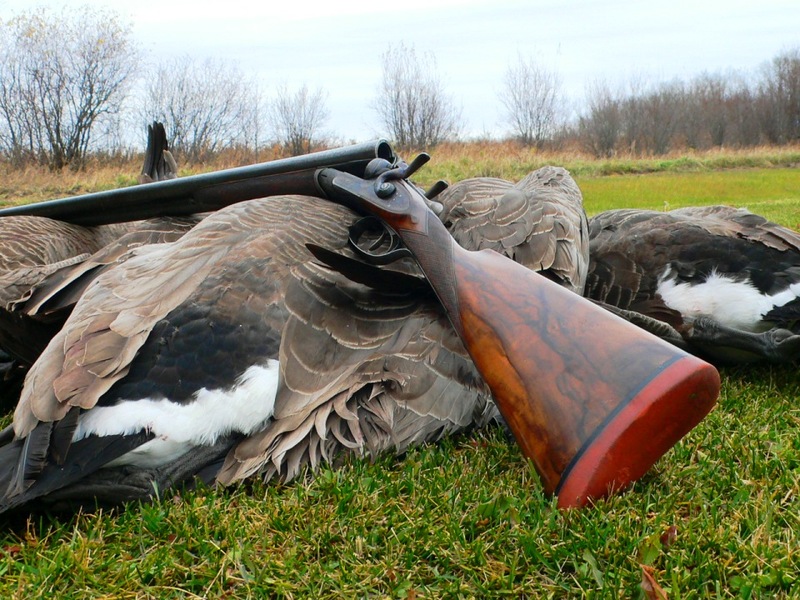 Now let me share a few extra considerations that hopefully will help you both enjoy a better waterfowling experience. I believe that the saying “You play like you practice” holds a lot of truth. The most important principle to focus on when going into a retriever’s first hunting adventure is to mimic hunting conditions during pre-season training. When clients ask me to train waterfowl dogs, the first thing I do is ask detailed questions about how they plan to hunt. Over water? If so, will it be from a blind or a boat? Are they more field hunters? Then do they use a pit blind or plan to hide their dog in a field blind? Based on the answers, I try to work their dogs in similar scenarios so that when it’s time to take their young dogs hunting, the dogs are already familiar with situations they’ll encounter during the season. I recently worked with a Lab whose owner hunts almost exclusively in Arkansas’ flooded timber and therefore needs to perch his dog on a marsh stand or timber platform. A few weeks before returning the dog, I trained it almost exclusively using a marsh stand. Whether we were working on marking drills or blind retrieves, if it was water work, each task began and ended with the dog on the stand. Regardless of the scenario in which you hunt, another aspect to prepare your dog for is the cadence of the action. Waterfowl hunting is, of course, a game of waiting and watching that is interrupted (often, hopefully) by gunshots and falling birds. A dog needs to get comfortable with the routine of running or swimming out through the decoys, retrieving, coming back in and settling down to wait for the next retrieve. So during training, bring out the calls, the decoys, the boat or blind, the shotgun and all your other waterfowl paraphernalia, and set up like it’s open season. Have throwers toss birds or bumpers that fall amongst the decoys, and mix in longer retrieves that force the dog to run or swim through the spread. A major reason for all this practice is to reinforce the expectation that your dog remains in one place until you release it. Nothing ruins a hunt more quickly than a dog that spooks ducks and geese because it won’t sit still. Worse—and potentially dangerous—is a dog that breaks when birds are circling or every time you shoot. Take the time to put in some extra practice before the season. If you’re experiencing this problem, the solution, as with just about every training challenge, ties back to obedience. I use the command “Kennel” for all of my dogs from a very early age. “Kennel” isn’t just for sending a dog into its crate or kennel but for any situation where I want the dog to go into or onto something. Whether it’s into a boat or blind or onto a stand, when I say, “Kennel,” it means, Go there and stay put until I tell you differently. You must nail down this concept and get to 100-percent compliance before the season starts. The next-most-important command is the remote “Sit.” Many people automatically assume that you should train a dog to sit next to you, but getting a dog to sit anyplace and anytime should be the bigger goal. I teach waterfowl dogs very early in their training to sit away from me. When you think about it, it’s a very similar concept to teaching “Whoa” to a pointing dog. One reason I believe this is so important is that when I’m shooting, I don’t want my dog next to me. And I definitely don’t want it in front of me. Whether I’m hunting on land or water, I want my dog sitting behind me. This is the safest place for a dog when guns are going off. I know some hunters like to have their dogs practically sitting in their laps or cozied right up in the blinds with them, but that’s how dogs go prematurely deaf. You wouldn’t shoot over your hunting partner’s head or next to his ear; so why subject your dog to it? Depending on where we’re hunting and how difficult it is to hide, I might need my dog to sit 10 or 20 yards away or even farther. Being able to command a dog to stay put and remain still from a distance and not have to worry about it creeping back or breaking is a major part of being able to enjoy a hunt. It’s also going to be necessary for your dog to sit on command at a distance when it comes time to work on casting drills for blind retrieves. Now, if that isn’t something you’re going to train for and you’re content with a dog that only retrieves the birds that it sees fall, that’s fine. But teach the command anyway, so you know you’ll always have perfect control while hunting. Take the time to put in some extra practice before the season. When it’s game time and the birds are working your decoys, you’ll be glad you did. Jessie Richards owns and operates Full Throttle Kennel, in Campbellsport, Wisconsin. She specializes in training all breeds of retrievers for hunting and AKC hunt tests, as well as guides upland hunters and takes time in October for waterfowl hunting in Saskatchewan.